We’re Catering Las Vegas, One Barbecue at a Time! Whether you’re planning a birthday, wedding, or corporate event, any party can be taken to the next level with some BBQ. The smell of the meat on a grill is sure to make your guests hungry and the juicy and tender food will satisfy even the pickiest of eaters. Even better, it’s a great food choice that all ages can enjoy, making it a perfect catering option for both the young and old. There’s no one better when it comes to BBQ catering in Las Vegas. We bring our own grills, so guests can watch us cook our fresh ingredients to perfection. For an added touch of excitement and flavor, we can bring our smoker too. If you’re going to do BBQ, why not do it right? Here are a few of our most popular meats to put on the grill. And because we at Renaissance Catering believe everyone can come together over good food, we are able to accommodate many alternative lifestyles. We can BBQ up some vegetarian or vegan options, so no one is left out. No BBQ is complete without some extras. And this is where no two BBQ’s are exactly the same. We work one on one with you to custom design a BBQ catering Las Vegas experience that fits your event, goal, and imagination. 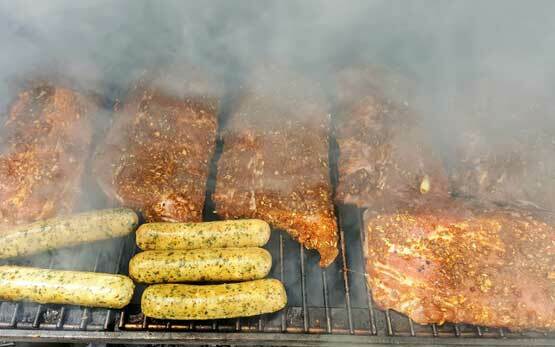 Here are some ideas of what we can provide for the perfect BBQ from start to finish. Sides – cornbread, black-eyed peas, rolls, corn on the cob, fresh vegetables, and more. There’s something for everyone and we can cook it all. Desserts – the sky is the limit when it comes to sweet desserts to end your savory meal. Cobblers, cheesecakes, bread pudding, pies, cookies, and even a decadent cake are waiting for you to enjoy. Beverages – your guests will want something cool to wash down the BBQ they’ve just enjoyed. We can provide soft drinks, coffee and tea, juices, cocktail packages, or a beer keg to liven the party. Buffet – while there are many ways we can serve your BBQ feast, many enjoy going with a buffet style setting. Guests can customize exactly what they want to eat and how much of it, and we make sure there’s plenty for everyone to enjoy. Just like with our BBQ meats, we love to cook food that anyone can partake in. Let us know about allergies or alternative lifestyles, such as veganism, and we will finetune your menu for your event. 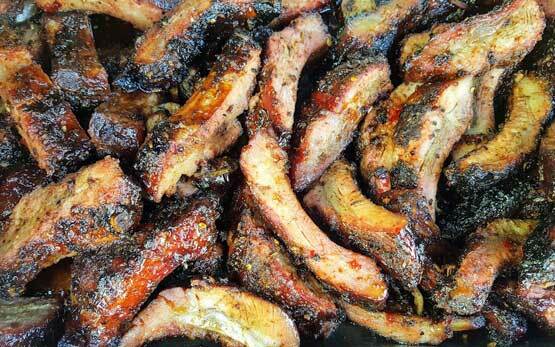 When it comes to BBQ catering, Las Vegas residents know there’s only one place to call. So what are you waiting for? We at Renaissance Catering pride ourselves in providing affordable, timely, and delicious food that is made just for you. Call us today and see just how far we have perfected Las Vegas catering.